What is the Instrument rating? The Instrument rating allows any pilot possessing a Private Pilot License or higher to fly in weather conditions that would have most other pilots staying on the ground. 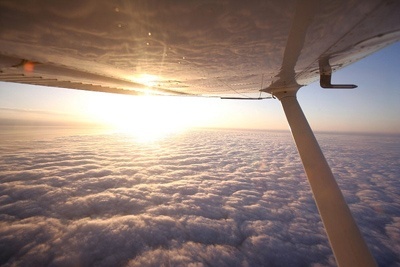 It allows a pilot to fly in cloud and land in weather conditions that are below normal Visual Flight Rules (VFR) limits. Why choose the Instrument rating? The instrument rating allows pilots to fly in almost any type of weather condition. If you want to become an airline pilot, charter pilot, or fly for a corporation you will need to have an Instrument rating. You may choose to have the maximum flexibility with your flying. If you don’t want to have to wait a day or two for the weather to clear then the Instrument rating is for you. In order to hold the Instrument rating you must hold at least a Private Pilot licence; to hold the Private Pilot licence you must be at least 17 years old. What is involved in getting my Instrument rating? The Transport Canada minimum for an Instrument rating is 40 hours of instrument flight training. 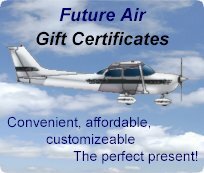 Future Airs' typical student will complete an Instrument rating in approximately the 40 hour mark. This is based on what it takes the average pilot flying on a regular basis to complete. Our experience has shown us that this is a realistic estimate for completion of the Instrument rating. Ground school is not required for the Instrument rating however it is highly recommended. The topic areas for the Ground school are: Canadian Aviation Regulations; Instrument Flight Rules Procedures; Meteorology; Instruments; Radio and Radar systems; and Navigation. There is a 50 question written examination for the Instrument rating. There is a flight test requirement as well. When your instructor feels you are safe and proficient to hold the Instrument rating you will be recommended to conduct both tests for the rating. The written examination must be completed prior to attempting the flight test. What is the estimated cost of the Instrument rating? 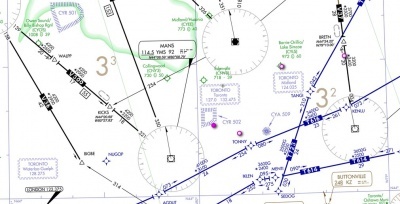 Quoting for the Instrument rating is difficult due to various scenarios that can be present. Please contact us for a quote regarding pricing.